Lost In The Warp: Mr. Bob Ross! Happy Birthday to our Dark Lord of Painting! Mr. Bob Ross! 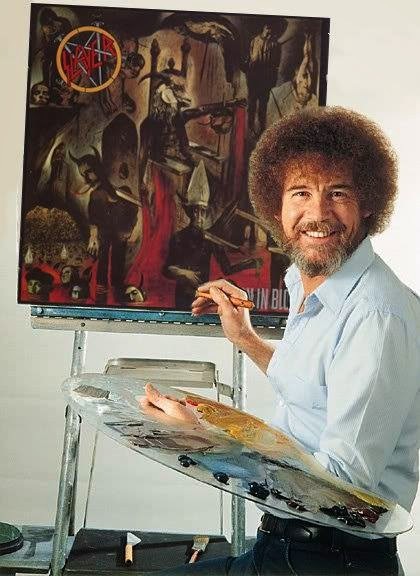 Happy Birthday to our Dark Lord of Painting! I'm definitely gonna watch one of them today. I largely learned to oil paint based on his methods. This Gentle Giant of the art world would have been 72 today, may he RIP.